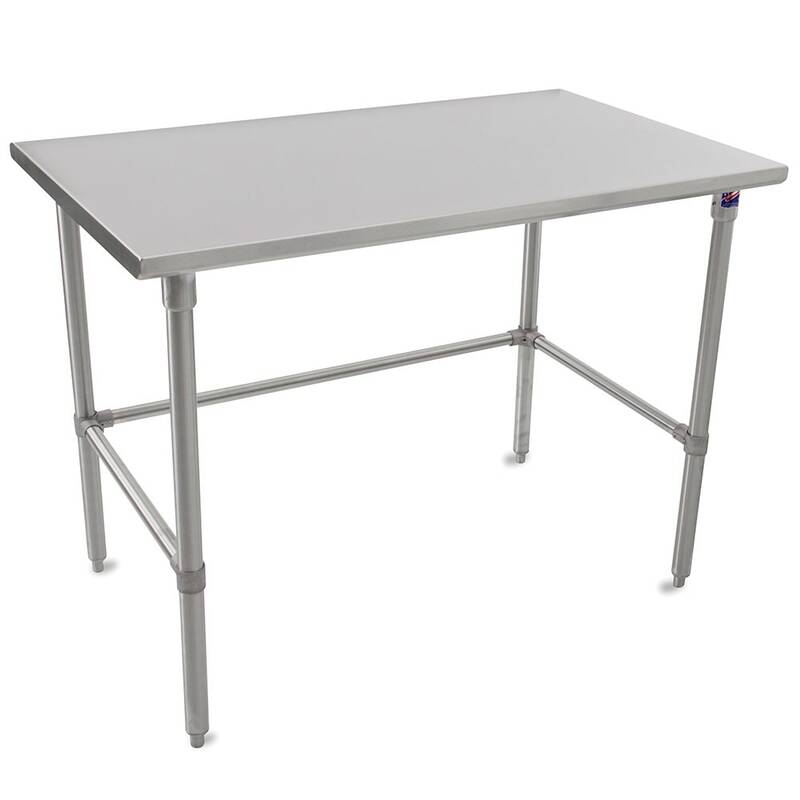 The John Boos ST6-3048SBK work table is constructed of strong, rust-resistant stainless steel. So that the unit can sit flush against other tables and equipment, the sides are turned down at a 90-degree angle. Since the front and rear edges have a stallion design, they are blunt and protect staff from injuries. This John Boos ST6-3048SBK work table is durable for heavy use with a reinforced, welded top and adjustable bracing in the base. The exposed welds have been smoothed to match the adjacent surfaces. To learn more about work tables and similar units, visit our tables and stands buyers' guide.